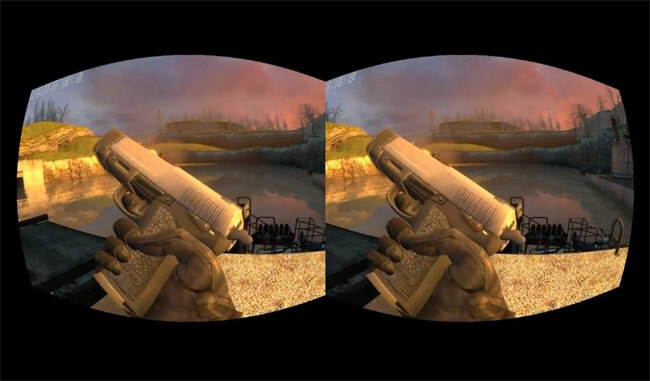 A couple of quick videos have been created showing that the Oculus Rift virtual reality gaming headset has been setup to link to Valve’s Half Life 2 game, even after the creators of the Rift developer kit say that its still not ready for gaming. Watch the videos after the jump to learn more about the Oculus Rift virtual reality headset playing Valve’s Half Life 2 game, and Razer’s Hydra motion controller. Nathan Andrews explains a little about the early Oculus Rift Half Life 2 demo. “This is a brief early demo of the razer hydra integration I’ve been working on for Half-Life 2 VR for full 6 DOF weapon tracking. In the end all the weapon models will need to be completely redone but for this demo I just did some basic editing to remove the arms (they get really unwieldy with 6dof movement) and reorigin them to the point where your hand grips the weapon. If you’re an experienced modeler and want to contribute please contact me here or on mtbs3d, any help would be much appreciated (and needed). Lets hop more games will support the new Oculus Rift virtual reality gaming headset when it launches in to retail sometime in the future.